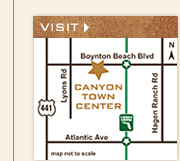 Canyon Jewelers, a neighborhood jewelry store, is proud to bring their new store to Canyon Town Center. 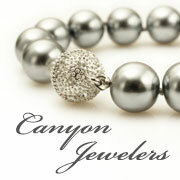 Fine jewelry is a passion and Canyon Jewelers caters to their customers every need. They specialize in fine jewelry and timepieces, as well as custom designs and are experts in all facets of jewelry repair. Most repairs are done on premise and same day service is offered on many items. Canyon Jewelers stands behind all merchandise sold, as well as all custom work and repairs. They value their customers, and treat everyone who walks through their door as family. Your satisfaction is Canyon Jewelers' number one priority. Fit 2 Be Tied is a fun and bright children's shoe store, we offer the most adorable, high quality shoes for infants, toddlers and youths along with a diverse selection of sizes and widths ranging from Pre-Walker to Size 6. Some of the brands that can be found at our store are Stride Rite, Primigi, Pediped, New Balance, Lelli Kelly, Geox plus so much more. For our customers convenience we offer lots of different accessories. Stop by and let Fit 2 Be Tied fit your child with style and a smile! 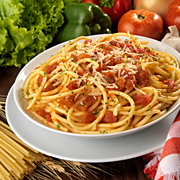 There is ONE and ONLY MASSIMO'S Italian Restaurant & Pizzeria. 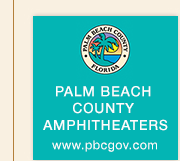 We have been serving south Florida for over 18 years. Our sauces are all home made, you can cut our veal with a fork, it's so tender. Our shrimp parm fra diablo will have your mouth watering. Our eggplant parm is one of our signature dishes and is prepared like nowhere else. Our thin crust crispy "new York Style" pizza has been voted best in Palm Beach County. Our salads are made of the freshest ingredients and are oversized. Enjoy our daily specials, full bar, and family atmosphere. We don't have customers, our patrons are our friends. We will continue to do on and off premises catering as well as serving our loyal patrons the country club style of fabulous Italian food at super prices. See you soon!!! Our bakery cafes are an everyday oasis - a place to gather with friends or enjoy a quiet moment alone. Comfortable, friendly, fashionable, it is a place to recharge and feel rejuvenated. Slip into one of our seriously comfy chairs and stay a while. 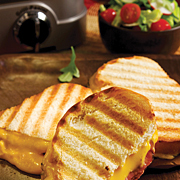 Stop in for breakfast to enjoy our famous cinnamon crunch bagel or our new breakfast sandwiches. Or, come by for lunch or dinner for our famous You-Pick-Two for those who can't decide on just one of our famous menu items. This 54,000 square-foot full-service grocery store offers pharmacy, floral, bakery, sushi and seafood departments. Publix, a privately-held company operating stores in Florida, Georgia, South Carolina, Alabama and Tennessee, was founded by George W. Jenkins in 1930 in Winter Haven, Florida. It has grown into a Fortune 500 company with more than 1,000 stores and is one of the fastest growing employee-owned companies in the United States. Publix is known for its philosophy of pleasing the customer. The Publix guarantee to never knowingly disappoint customers is legendary in the industry. The company's mission is to be the premier quality food retailer in the world. 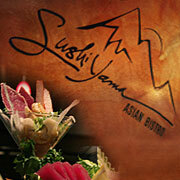 Sushi Yama is proud to bring its award-winning cuisine to Canyon Town Center. With a wide variety of delicious, traditional Japanese cuisine – our menu selection consists of extremely fresh sashimi (hand picked daily), along with a variety of the best tasting sushi waiting to be served. Our sizzling teriyaki dishes and wonderful appetizers are an additional delight to any meal. It’s really no wonder why Sushi Yama is one of South Florida’s favorite sushi houses. This "corner drugstore" stocks hundreds of thousands of everyday items from cards and clothing to cosmetics and groceries. 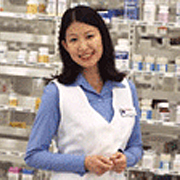 The Walgreen's pharmacy offers "auto refill" so customers can have prescriptions automatically refilled. 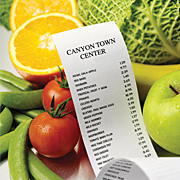 The drive-thru pharmacy at Canyon Town Center makes filling prescriptions even easier. Walgreens was founded in Chicago, Illinois in 1901 and has since expanded to nearly 7,000 drugstores across the United States.